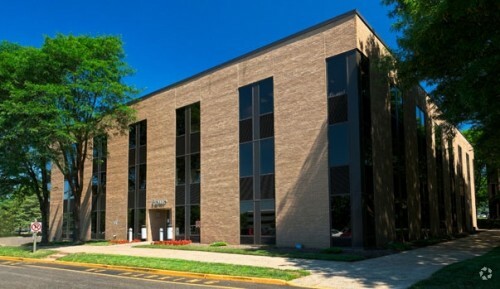 Wolf Commercial Real Estate, a premier Philly commercial real estate brokerage firm with expertise in Philly commercial real estate listings and services, now has available prime Philly office space for lease in the Neshaminy Interplex Business Center at 4 Neshaminy Interplex Trevose PA. There is one suite at this Philly office building for lease at 4 Neshaminy Interplex Trevose PA of approximately 4,482 square feet of Philly professional office space for lease. This office space for lease in Philly at 4 Neshaminy Interplex Trevose PA is a subleased property with a lease term that expires on November 30, 2017. The asking lease price for this professional office space in Philly in the Neshaminy Interplex Business Center at 4 Neshaminy Interplex Trevose PA is $17.00/sf plus electrical and janitorial. This Philly office space for lease is being offered by Wolf Commercial Real Estate, a Philly commercial real estate broker that specializes in Philly commercial real estate listings and services. This office space for lease in Philly has onsite ownership and management. This professional office space in Philly is in walking distance to restaurants and food services. The 274-room Radisson Hotel is nearby this Philly professional office space for lease at 4 Neshaminy Interplex Trevose PA. There is a child care center and Interplex Fitness Center at this professional office space in Philly from Wolf Commercial Real Estate, a Philly commercial real estate brokerage firm that specializes in Philly commercial real estate listings and services. This Philly office space for lease is located in close proximity to I-95 and the Pennsylvania Turnpike. For more information about this Philly professional office space for lease at 4 Neshaminy Interplex Trevose PA or about other Philly commercial properties for sale or lease, please contact Jason Wolf (856-857-6301; jason.wolf@wolfcre.com) or Leor Hemo (856-857-6302; leor.hemo@wolfcre.com) at Wolf Commercial Real Estate, a Philly commercial real estate broker. Wolf Commercial Real Estate is the foremost Philly commercial real estate broker that provides a full range of Philly commercial real estate listings and services, marketing commercial offices, medical properties, industrial properties, land properties, retail buildings and other Philly commercial properties for buyers, tenants, investors and sellers. Please visit our websites for a full listing of Philly commercial properties for lease or sale through our Philly commercial real estate brokerage firm.